Welcome to Total Lawn Care. 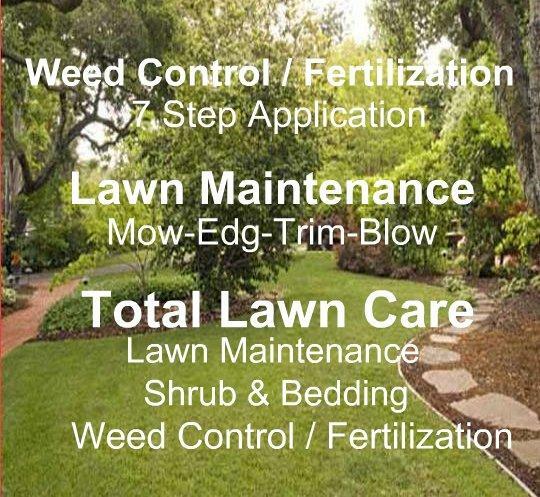 At Total Lawn Care we are a small business that offers Total Lawn Care. We are experts in keeping your lawn healthy and vibrant. What we bring to you is honesty and convenience. When our customers call us they have the peace of mind that their challenges will be handled promptly and professionally, by the most qualified experts that are both licensed and insured for our customers safety. Our customers enjoy the 20 years of experience we have of combing proven service so they know their lawn is receiving the TLC it deserves. After all it's the first imprecision someone will have of your home.